Airport cybersecurity, are we there yet? As new technology emerges with the use of the Internet of Things (IoT) and others for automation, connectivity and information sharing, the cyber-threat adapts. From self-check-in kiosks and automated bag drop systems to access control to secure areas, ‘smart’ gates or simply available Wi-Fi for the general public, the automatisation of airport systems offers numerous advantages both for airport operators and the travelling public. However, it also comes with new vulnerabilities. The European Aviation Safety Agency (EASA) estimates that an average of 1,000 attacks occur per month on aviation systems, thus becoming a real threat to airport safety, security and reputation. Cybersecurity risks evolve fast and the very nature of cyber-attacks, characterised by their low cost, makes them very affordable to terrorist and criminal organisations. Munich Airport launched its Information Security Hub (ISH) in January 2018. ISH is a competency centre where IT specialists with the airport operating company work together with experts from the European aviation industry to develop strategies for defending against cyberattacks and new approaches to the fight against cybercrime. The US National Institute of Standards and Technology (NIST) categorises the cyber-threats to airports into political or military, commercial espionage, disruption, and cybercrime. For instance, as airports are symbolic, a cyber-attack could disrupt and critically damage public trust; organised crime networks and foreign governments may target sensitive documents such as airport planning, construction, budget and government documents; attackers may target networked systems to deny user access, corrupt data, or inflict damage; or other targets may include credit card information from parking services and baggage fees. At a governmental level, different agencies are taking proactive steps to promote awareness. 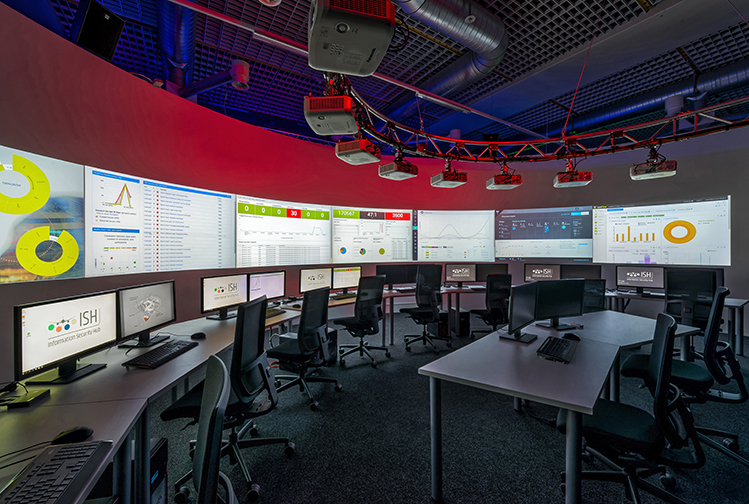 The EU Agency for Network and Information Security (ENISA), for example, through Cyber Europe exercises conducts annual simulations of large-scale cybersecurity incidents. In the intelligence community, Germany’s BSI participates in pan-European cyber defence exercises; the UK Government has just published the Aviation Cyber Security Strategy; Munich Airport opened the Information Security Hub (ISH) and other agencies have developed awareness campaigns with cooperation programmes with the private sector – which nowadays own, lease or operate critical infrastructure – to provide threat intelligence and advice. Even though cybersecurity is a relatively new risk, it is important to understand that airports’ CEOs and Directors will still be held accountable should a major cybersecurity breach occur, just as they would for a physical security incident. Ideally, cyber resilience would be built into the future innovations from their conception, but being proactive is key to avoid ‘nasty surprises’. As an airport operator, a cybersecurity programme would involve having a clear understanding of your airport, and identifying your particular critical assets, risks and vulnerabilities by conducting a Cybersecurity Risk Assessment.